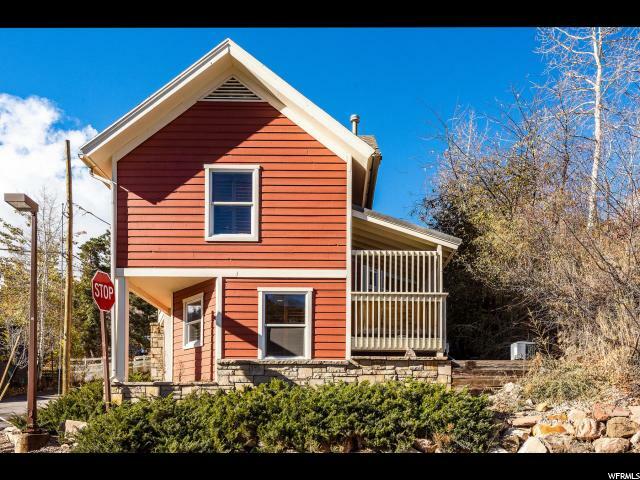 All OLD TOWN homes currently listed for sale in Park City as of 04/19/2019 are shown below. You can change the search criteria at any time by pressing the 'Change Search' button below. "Opportunity abounds from this Upper Norfolk twin home perched above Old Town. Configured as 2 attached townhomes, each is equipped with 2 master suites, 2 bunk rooms, 3.5 baths & private garage. Enjoy a 1 minute, level walk to Quit 'N Time ski run, private decks off of every bedroom, creating a haven for gazing from Main Street to Deer Valley from multiple vantage points and a large deck with hot tub to wind down & warm up after a day on the slopes. Relax, rejuvenate & entertain in the shared party room with pool table & personal sauna. This convenient location, just 3 blocks from Main Street, offers all-season access to enjoy top-rated restaurants, night life, boutiques, art galleries, coffee shops, seasonal open-air markets & street festivals. " "This Old Town home boasts spectacular ski resort views from nearly every room. The large kitchen would delight any chef and features a 6-burner Wolf range, Pro 48 Sub-Zero fridge, full-sized double ovens, a built-in Miele espresso machine, and a pantry and opens to the cozy and bright great room. Directly off of the kitchen is a unique media room that also doubles as your own personal climbing gym. Right off of the kitchen/great room is the expansive heated patio that wraps around the entire second story; your new favorite place hang-out and enjoy the views. The next floor is home to two bedrooms including the Master suite complete with vaulted ceilings, a balcony, and an impressive bathroom with a soaking tub surrounded by windows. The guest master/mother-in-law includes a kitchenette and living space, bedroom with on-suite bath, a second washer and dryer, and a roomy upstairs loft area. Combined with the over-sized 2-car garage and elevator, this house is perfect for entertaining." "Too often, the character of a space can be covered up or forced out by a major renovation. The temptation for ostentation frequently trumps any dedication to the original feel of a home. However, when the owners of this near 140-year-old, ski-in/ski-out Park City residence decided on an overhaul, they made a keen effort to keep true to the soul of the spot. The result is a contemporary masterpiece, wholly enchanting in its Scandinavian simplicity. All of the updates are both comforting and timeless: hand-scraped oak floors; buttery, warm walls; a kitchen as elegant as it is functional. Plus, tucked behind Main St. in historic Old Town- and nestled behind a couple of evergreens-its location couldn't be more choice. 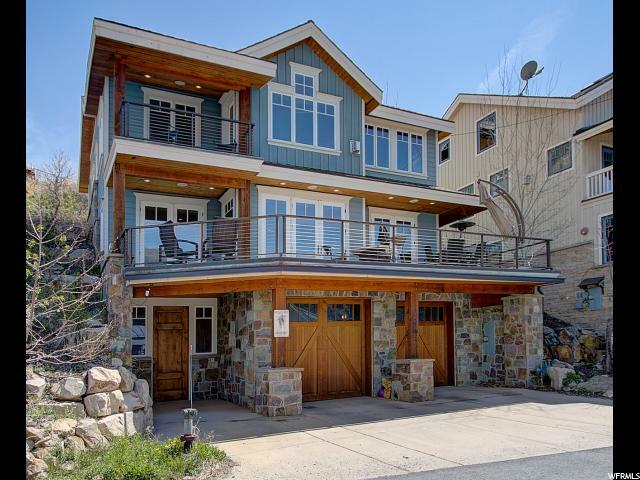 The wrap-around porch is particularly sublime and provides the perfect vantage point from which to take in all the festivity of Park City's much-lauded 4th of July parade. As far as specifics are concerned, there are four spacious bedrooms, a cozy home office, and plenty of room for all of your gear. And, as worrisome as PC's lack of parking can be, the accompanying heated garage means your whip will be safe and cozy year round. 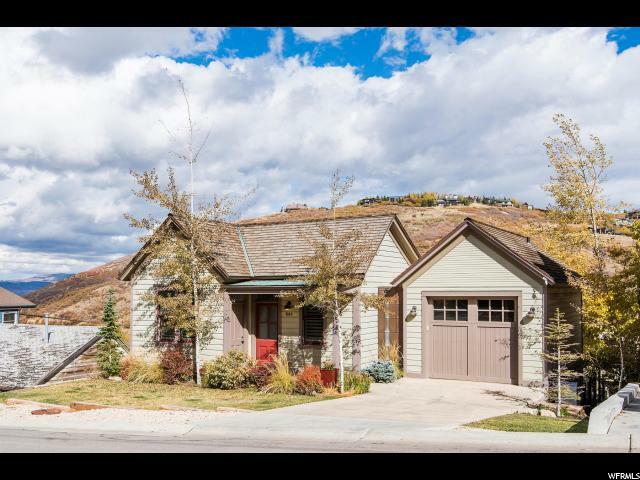 Whether it's utilized as a full time living arrangement or as a weekend point of entry to one of Utah's most acclaimed ski resorts, there's plenty of reason to fall firmly, ardently in love with this home. Square footage figures are provided as a courtesy estimate only. Buyer is advised to obtain an independent measurement." 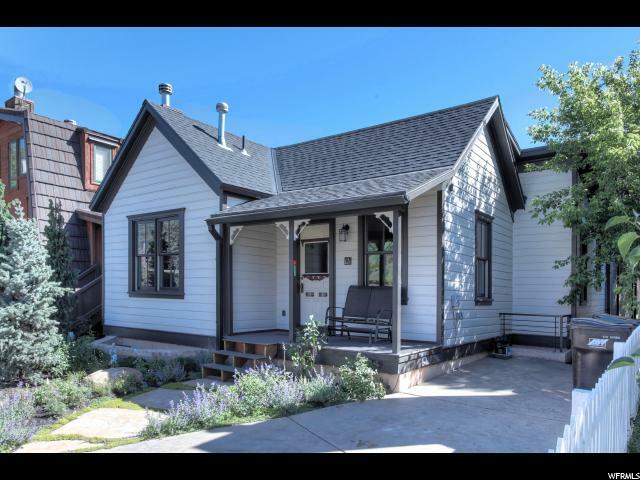 "Who else wants an impeccably restored historic Old Town Home right near City Park? On free bus route only 2 blocks from skiing. Soup-to-nuts remodel in 2016 included new roof, new lighting, new wood floors, new kitchen, new radiant heat boiler & mechanical, added huge laundry room and mud room, interior & exterior paint, new doors & base/case. Master suite on main level--along with two additional bedrooms. Lower level features an expanded second living room with wet bar & fireplace, plus two bedrooms. Off-street parking in driveway. Investors will rejoice at a chance to own this like-new 5 BR home in Old Town that's walking distance to the resort." 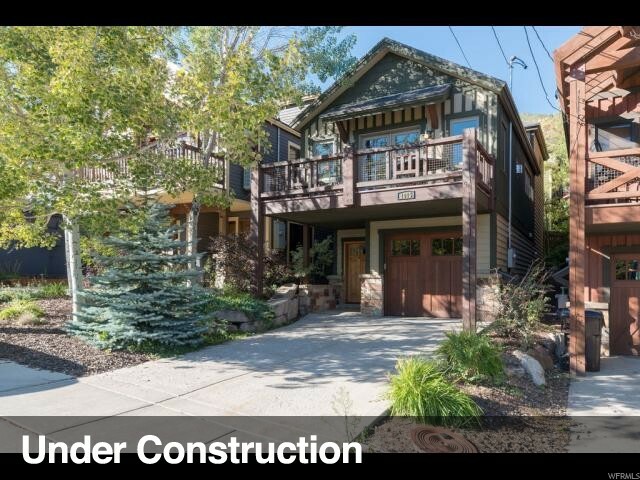 "This classic home in the heart of Old Town offers everything you're looking for to fully enjoy the Park City lifestyle: epic winter skiing, amazing summer recreation, and a short walk to Old Town's renowned entertainment and dining options. 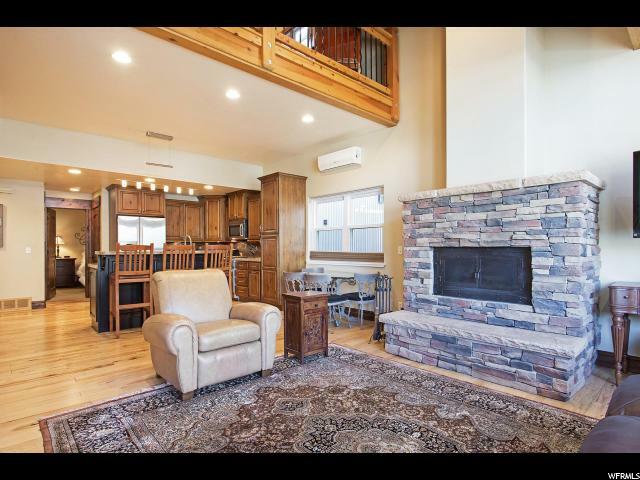 This home has all the right touches: a beautiful stone fireplace to warm those winter nights, a large balcony to take in the stunning views, and natural mountain finishes of stone and wood that create the perfect cozy and classic mountain home. The upper level holds the great room, kitchen, and main master suite. The great room is a wonderful space for entertaining family and friends and features elegant mountain finishes, a floor-to-ceiling gas fireplace, and a beautiful kitchen with high-end appliances, granite counter tops and plenty of storage. The master suite brings in lots of light and features a large en suite and walk-in closet with washer and dryer hookups. One level down is a guest suite that walks out to a private back patio shaded by trees. 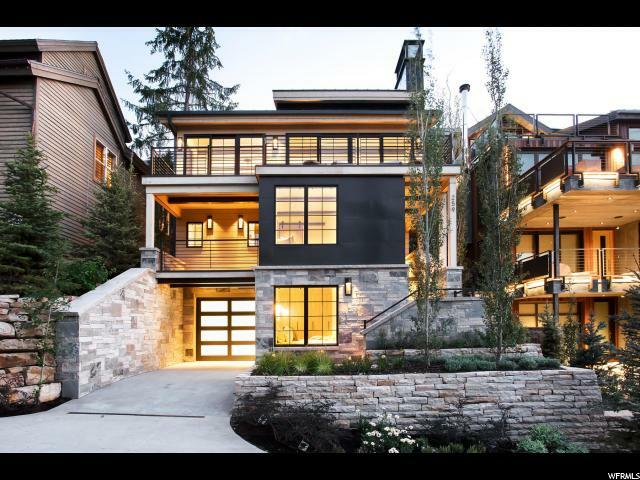 An additional master is located on the lower level, making this the perfect family home or ski town getaway. Visit this classic Old Town home today - in person or go to1015Norfolk.com to take a 3D tour online "
"An absolutely chic property! 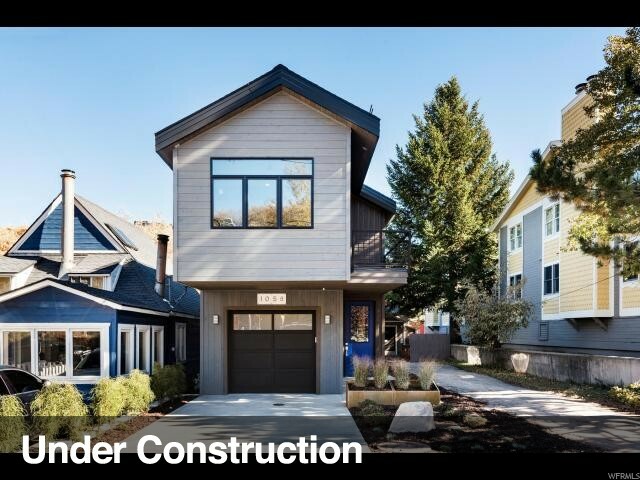 Brand new mountain modern home in the highly sought after Old Town area. Ideally located close to the stair system for a quick jaunt to skiing or catch the bus that is only one block away. Enjoy a casual stroll to Main Street for shopping, dining, entertainment and special events. The home boasts three bedrooms each on their own level, three bathrooms and two social areas offering plenty of room for family and friends. High-quality finishes and neutral tones throughout add warmth to the contemporary style of the residence. This is a prefect primary or vacation home all year round. Great rental potential as an investment." "This home is an amazing opportunity for a primary residence, second home or vacation rental. Located at the top of Main Street you can walk to restaurants, bars or just grab morning coffee. Take the Main Street Trolley to the Town Lift and back or just walk down and ride back up. With 3 in-suite bedrooms, a bunk room, 4 baths and a 2-car garage, this home can accommodate any use case for you, your Family and friends. Enjoy the gourmet kitchen with Sub-Zero and Jen-Air range that opens to the main living space with stone fireplace, wood floor and a built in bar. The back yard and deck are private and offer a cozy space to sit at the end of the day or enjoy the hot tub." "Excellent opportunity to own in Old Town in a great location with easy access to Main Street, restaurants, shops and transit center. This home is in excellent condition with room for the entire family. Beautiful fit and finish includes natural stone and hardwood, granite counter tops and top shelf appliances. Great for primary residence, second home or investment. Enjoy all four seasons in this charming Old Town home."